As if there weren't enough to explore in Kraków itself, the surrounding regions of southern Poland offer an additional bounty of fantastic sights worth exploring. Małopolska (roughly translating in English to 'Little Poland') - the small voivodeship of which Kraków is capital - is home to as many as 8 UNESCO World Heritage sites (that's half of the 16 UNESCO sites in Poland) and 6 national parks alone. Wieliczka Salt Mine is a must on most people's sightseeing lists, including the locals who voted it the number one highlight of the area, and Tyniec and Ojców are incredibly popular and easy to get to warm weather day trip destinations. Of course the question of whether or not to visit Auschwitz also looms large. 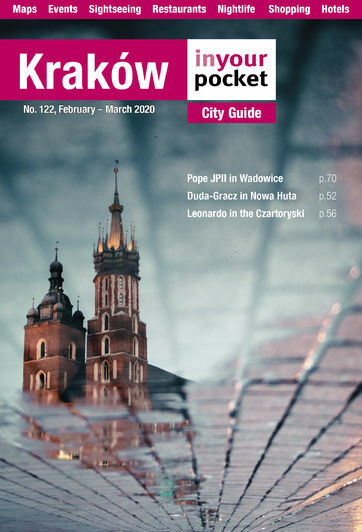 Małopolska's second city, Tarnów, has its own full IYP guide, so head to Tarnów In Your Pocket for the most extensive English-language tourist guide dedicated to the city. Here we list the best of the rest of the many tourist destinations outside of Kraków proper, including what to see and how to get there. Happy trails.